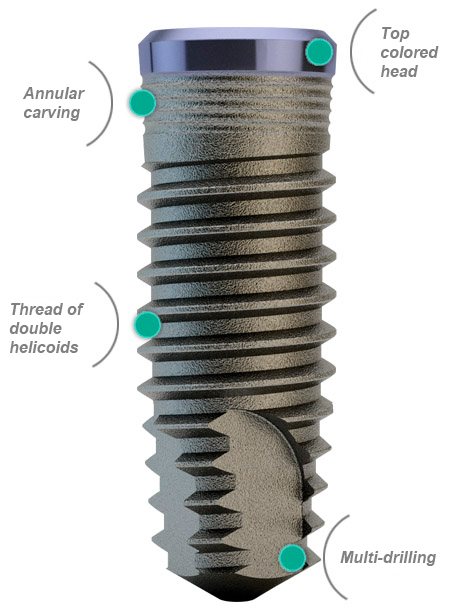 Conical head with micro-fillets (limits the bone re-absorption). Surface of roughed thread (blasting). Top colored head: the polished part of the head as well as the hexagon and the blockage screw, have the characteristic color of each series to facilitate recognition thereof. Apt for all type of bones.